I moved to a retirement community out on the far edge of the metro area, away from the suburbs where my wife and I had lived for 36 years. I knew life would be different and here are some of my observations about things I noticed are different. I am happy to report that we are loving it! Less traffic. It’s so funny because we used chuckle when people complained about our traffic, thinking they just were not used to city living. Now we say the same thing and have enjoyed getting away from the awful traffic! People are friendly. Out in public the people you encounter at the park, in restaurants, and the workers nearly everywhere, overall are just more relaxed and friendly and considerate. People seem to show their personality more. There are plenty of places to eat out and buy stuff. Restaurants are less crowded so you don’t get the mad lunch hour rush as much. With a major mall only 15 minutes away, that is close enough. A Publix and a Kroger a mile away. Haven’t found anything that I missed so far except maybe a Whole Foods or Fresh Market. Oh, my Amazon Prime works just great with two day deliveries. More scenic countryside. I love driving out our back community gate, passing barns and farm houses and a lamas farm! More places to walk. Our subdivision has plenty of nice wide sidewalks. Out on the main street there are wide sidewalks. The high school track is open after hours for anyone to walk! (not so in the suburbs where they lock the gate) Several parks and even a rec center with an indoor track. Your vote counts. The just had an election for school board president and someone won by 8 votes! Community fairs and events. People really turn out and support the community events. Be it a 5k run, arts and crafts fair, or Christmas parade, people come together for these events. Medical services close by. My dentist is 5 minutes away. I visited the orthopedic doctor yesterday at the medical building next door and got there in 5 minutes or less. I haven’t noticed anything that I miss from my old community of 21 years, except some friends that I don’t see as often. There was a risk in moving out to a more rural area but that has now been officially resolved! I like living in a small town! When you think about small towns you may be thinking remote, off the beaten path with very little things to do. There probably are some small towns today that fit that description perfectly, but many that don’t. Many small towns these days are located on the outskirts of large metro areas or in resort areas. In these towns you still get the feel of a small town, but with many more resources nearby. Near these small towns there is probably a large regional shopping mall within easy driving distance. Some excellent gourmet type restaurants are located in small towns. When I moved to a small town a couple of months ago, I was concerned about how far away I would have to drive for basic things like grocery store, drug store, dry cleaners, restaurants, and retail stores like Kohls or Target. Google maps has been a wonderful help to me by locating these stores and giving driving directions also. With GPS on my smartphone, all I have to do is say “Pulix” if I want a brand or just “grocery store” for all, into the google search microphone. My phone says there is a Publix 2.9 miles away and another 3.4 miles and another 5.2 miles away. I have been to the closet Publix, the “new Publix” as it is called, and it has everything and more than my suburban Publix did before I moved. There are two Kohls with 5 miles, and three dry cleaners within three miles, and a CVS within 3 miles. There are several independent banks close by but my credit union is about 8 miles away and is the only thing that takes a little driving to make deposits. The new 100 bed hospital is less than one mile away and that was a major reason we liked this location. Doctors and hospitals are the one thing you better check on before moving. 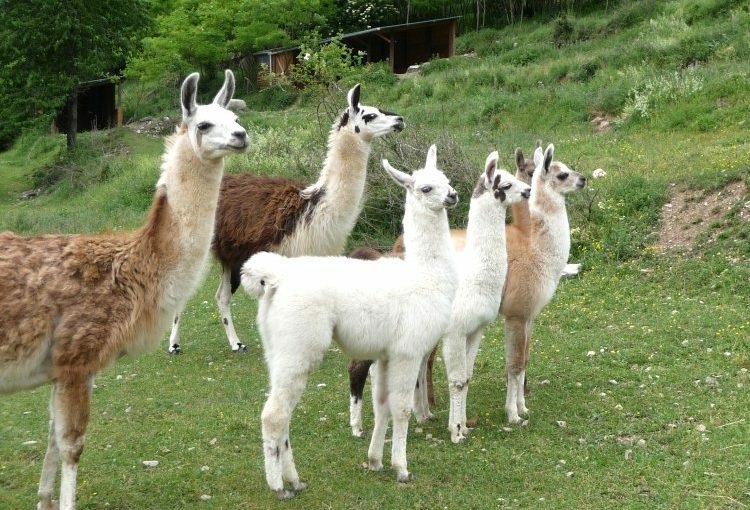 Driving to the largest shopping mall in the state only takes 15 minutes but on the way I pass farm houses, a lamas farm, barns, and traffic is light. By the way, I love my Amazon Prime account with free two day shipping. I have ordered just about everything I need without making any trips. However I downsized quite a bit before moving and I am really going to try not to buy too much stuff, a lot of which I would use infrequently. So small towns are not so small after all. We moved to a Del Webb Active Adult Community in a small town so we get the bonus of feeling like we live in a cosmopolitan areas with people from all over the country moving here. Plus all the socialization opportunities and activities are right outside my door. 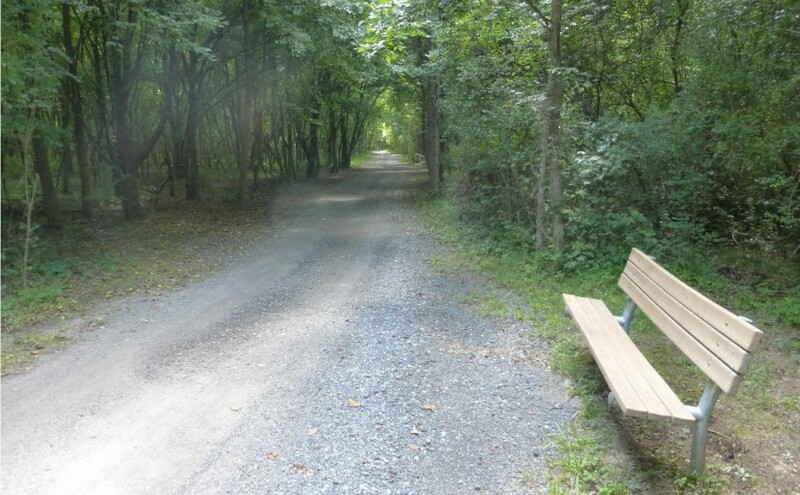 We have 9 miles of hiking trails and I can enter the trail about 100 yards from my front door. I ordered two walking sticks from Amazon and will be out tomorrow to get them a try. The suburban community we moved from had no activities, busy neighbors, very little socialization except for our good friends who lived next door and no hiking trails. I think this was a good move for us. I have noticed people living in small towns have a lot of pride about where they live. They have pride in their local parades and community events like fairs, art festivals and beauty contests. They have pride in their high school sports teams. They have pride in winning town contests. Magazines hold contests where you can vote for your small town to win the title of something and people really get involved and promote voting for their town. I did a post about the South’s Tastiest Small Towns contest. Then there are the prettiest towns, best places to live, most liveable towns, best small towns for food, healthiest small towns and many others. People like calling their town “the best” in anything. Newspapers and Chamber of Commerces really liked the PR of having the title of being ‘the best” gives their town. 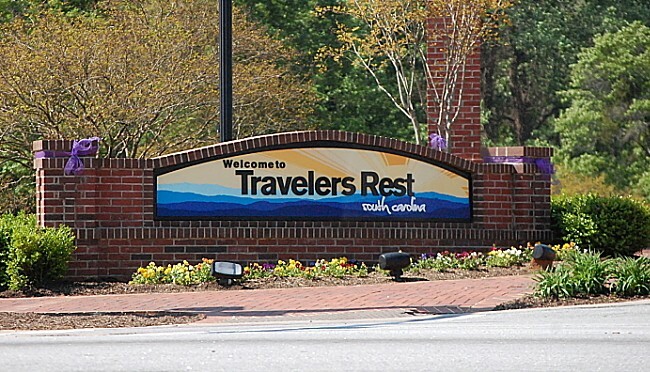 In the news today, I see the headline “Travelers Rest tied for third in ‘coolest small towns’ contest. This is in the Budget Travel magazine’s annual contest to find the coolest small towns in America. Other finalists include Berlin, Md. ; Buckhannon, W.Va.; Cazenovia, N.Y.; Deadwood, S.D. ; Elkin, N.C.; Estes Park, Colo.; Evergaldes City, Fla.; Galena, Ill.; Hunting Woods, Mich,; Kelleys Island, Ohio; Matthews, Va.; Nevada City, Calif.; Pahoa, Hawaii; and Rockport, Texas. Apparently there were about 1,000 small town entries in the coolest small town contest. So I went to the Budget Travel website to see what the criteria is for the coolest small towns 2014 but only see “we know a cool small town when we see it”. I guess coolness is hard to define but you will know it when you see it. So I go over to view the comments left by people on the contest page to see if I can find any clues as to why a small town may be cool. Fay says “Travelers Rest SC is the perfect place for people who love the outdoors and want the very best of living with nature and having all the things civilization has to offer in Greenville. Lots of local culture and the ocean is only 4 hours away.” (Ashevlle is nearby too). The contest does have a good description for each of the finalists in coolest small town contest. You have until Feb 25th to vote.